Card services are working again for customers at SMP Bank and InvestCapitalBank in Russia. Credit cards are working again at two Russian banks after both Visa and MasterCard had shut down services Friday based on concerns about dealing with firms linked to U.S. sanctions. Visa (V) and MasterCard (MA) cards at both SMP Bank and InvestCapitalBank are working again, according to the banks. Meanwhile, card services at two other banks -- Rossiya and a subsidiary, Sobinbank -- continue to be blocked. "Now everything is working fine," said a representative at InvestCapitalBank, noting that services resumed Sunday. Card services had been blocked after the U.S. issued sanctions against two major shareholders in the banks, Arkady Rotenberg and Boris Rotenberg. 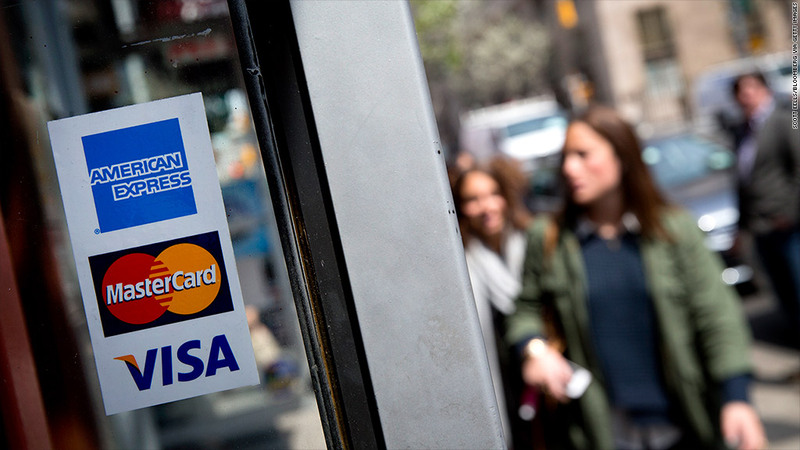 MasterCard said it worked closely with U.S. regulators before resuming services at SMP Bank. "This is not an unusual situation when sanctions are issued. Questions are raised, and refinements are made by the regulators from time to time," Mastercard said in a statement. "We will continue our active dialogue with regulators and our efforts to minimize the impact on the Russian payments market." Visa did not immediately respond to requests for comment. The U.S. sanctions against Bank Rossiya and individuals within Russian President Vladimir Putin's inner circle were designed to put economic pressure on Russia for taking control of Crimea, a southern area in Ukraine. That pressure continued to build at Bank Rossiya Monday after the bank asked customers to stop making foreign exchange payments out of their accounts until further notice. Bank Rossiya is Russia's 17th biggest bank, with $10 billion in assets, according to a senior U.S. administration official. It has substantial interests in oil and gas. --CNN's Zahra Ullah contributed to this report.